One of the oddest of Dylan oddities is his performance on March 11, 1987 at the Brooklyn Academy of Music in the celebration of the fiftieth anniversary of the death of George Gershwin. 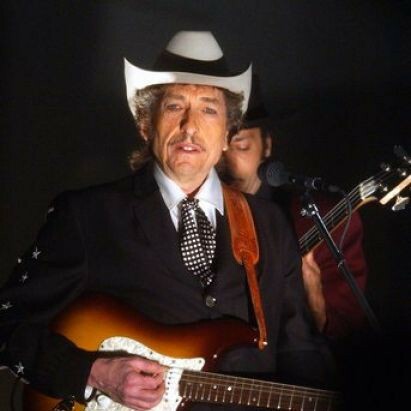 Dylan performs the song “Soon” from the musical Strike Up the Band on acoustic guitar and with harmonica. The performance was broadcast in Germany (the YouTube clip here includes a German announcer) and, at the end of the year, on PBS. This is a nice performance by Dylan. He actually sings the song, he doesn’t do the Dylan vocals thing, and the harmonica playing is quite lovely. Other performers at the event included Chita Rivera and Liza Minnelli, so Dylan’s appearance on stage must have seemed a bit out of place. Dylan, of course, more than most American singer-songwriters, has always been open to the music of the first part of the twentieth-century, so from a certain perspective his appearance here makes absolute sense. 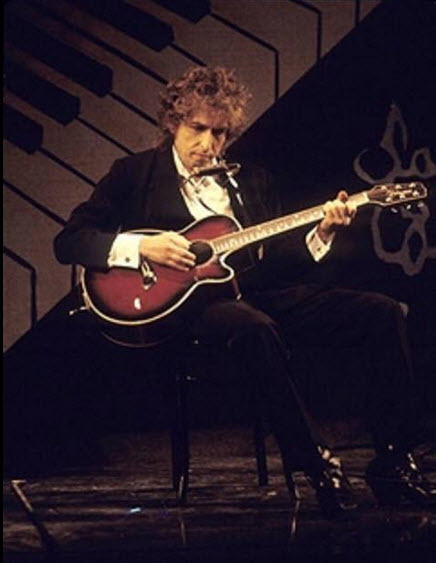 Performing Gershwin is perhaps a precursor to the next few years, where Dylan will move back into covering older songs and focus less on his own songwriting. One of the most important American songwriters of the twentieth-century celebrating the work of one of the most important American songwriters of the twentieth-century. What could be more natural?